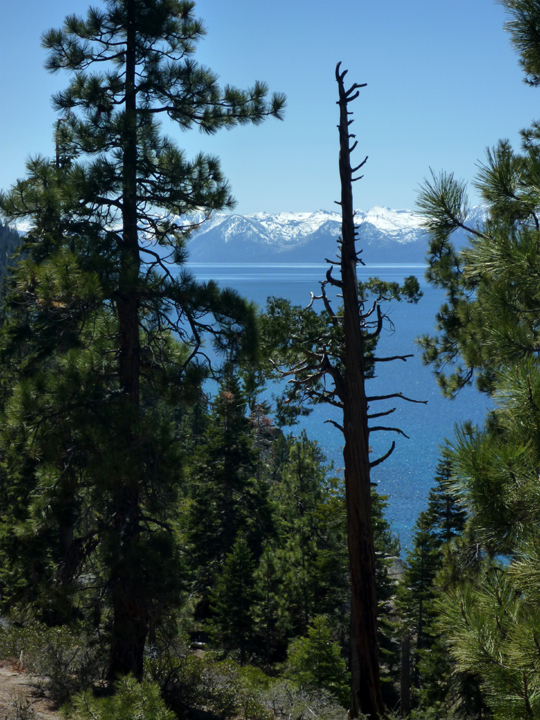 After reluctantly leaving Rick & Leslie’s home in Minden, NV, we skirted around the east and north shores of Lake Tahoe to reach scenic Route 89 North. 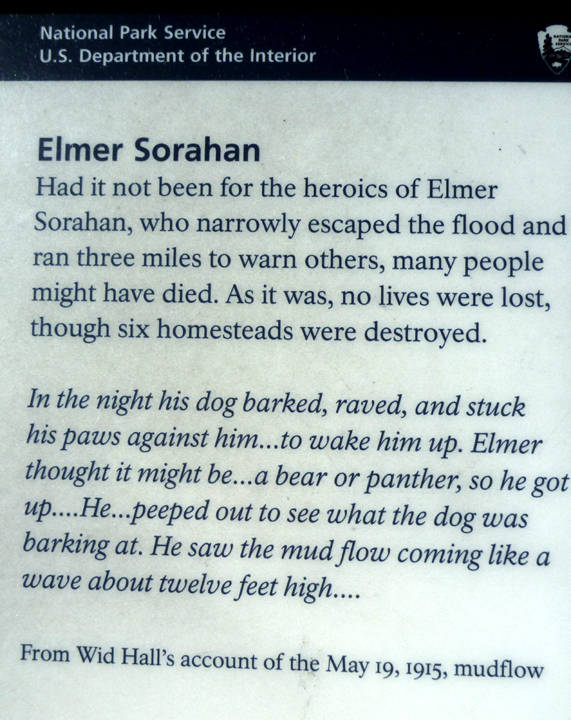 We didn’t stay in the area of the lake because we had been there before on two occasions. It sure is beautiful though! 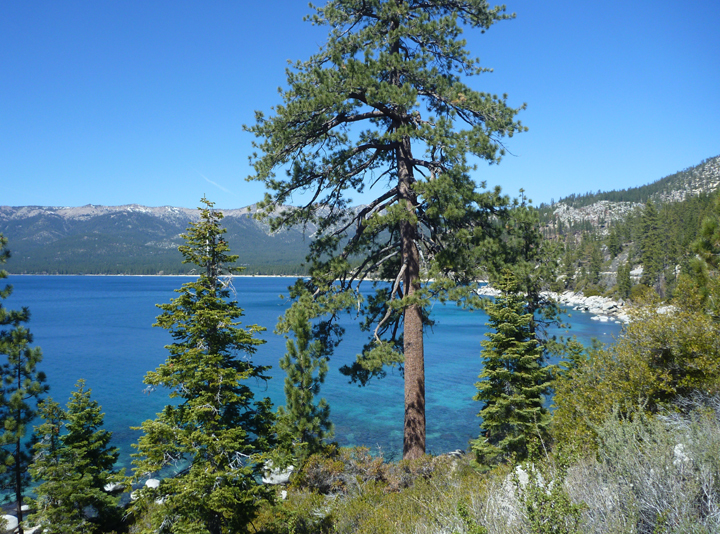 The Northeastern region of California beyond Tahoe is a vast wonderland of crystal clear lakes, snow capped mountain peaks, rapid rivers, and dramatic volcanic landscapes. We both enjoyed exploring this area very much. One of our first pleasant surprises was the town of Graeagle (pronounced gray eagle), population 737. 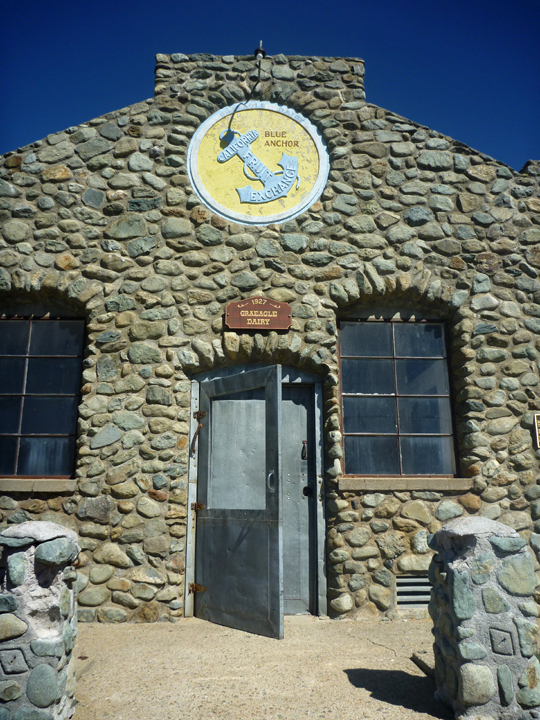 Originally brought to life by the pioneers of the timber industry, the town of Graeagle was the site of the Graeagle Lumber Company and its “Box Factory” owned by the California Fruit Exchange (above). Thousands were employed to build boxes for shipping fruit and vegetables in the 1920s, 30s and 40s. 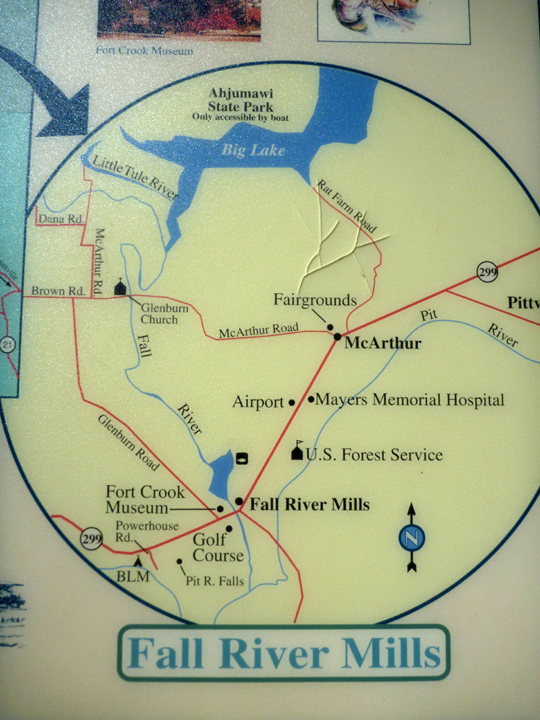 Modernization closed the mill in 1956 and the town was acquired by the West family in 1958. Today you can see the success of West’s efforts in maintaining the integrity and charm of the community as it was back in the 1950s. Add to that, Graeagle Meadows Golf Course, a championship 18-hole course, a condominium project, six subdivisions, public tennis courts, the old mill pond for swimming…and you have all the ingredients for a very special lifestyle. 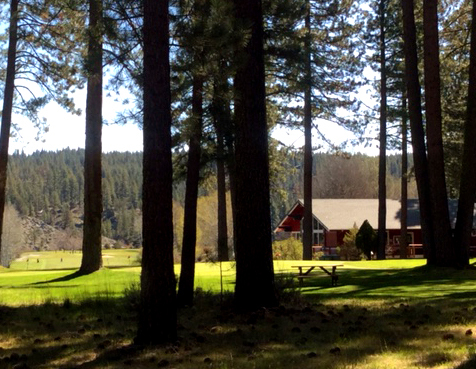 Thanks to our membership in RV Golf Club, we camped at the beautiful Graeagle Meadows Golf Course for free. 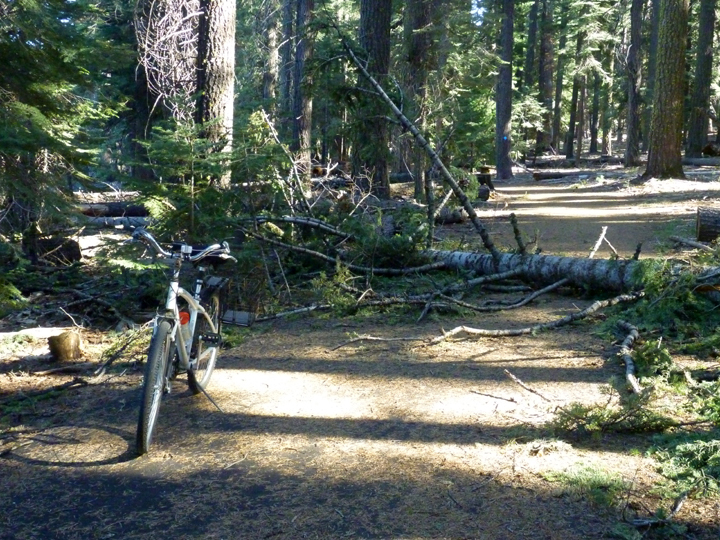 The next night we camped in a virtually empty campground at Lake Almanor. The late afternoon weather was so nice I decided to take a bike ride along the lakeside recreational trail. It obviously had not yet been cleaned up for the season. 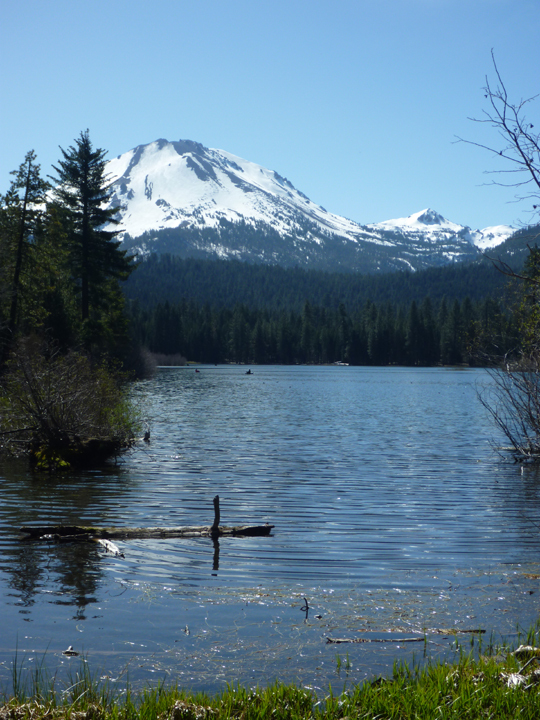 This beautiful lake sees plenty of activity during the summer, but in April it is extremely quiet. 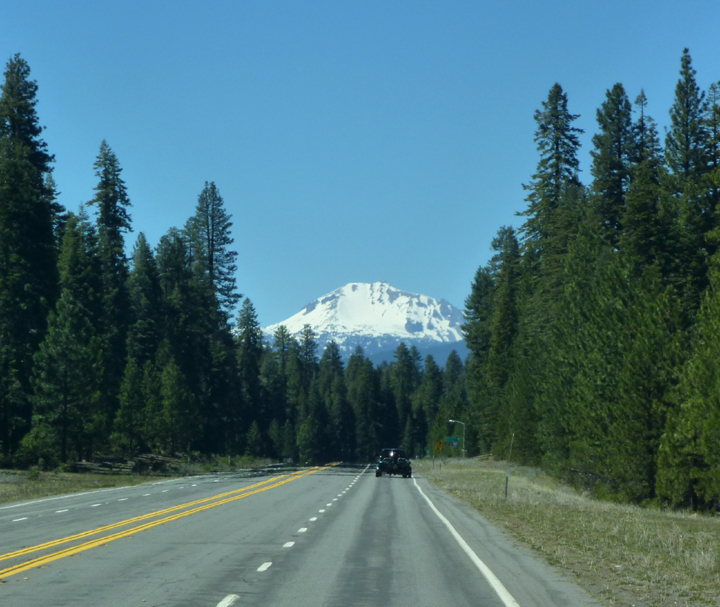 We traveled via the Volcanic Legacy Scenic Byway, which quickly became evident as Mount Lassen came into view. 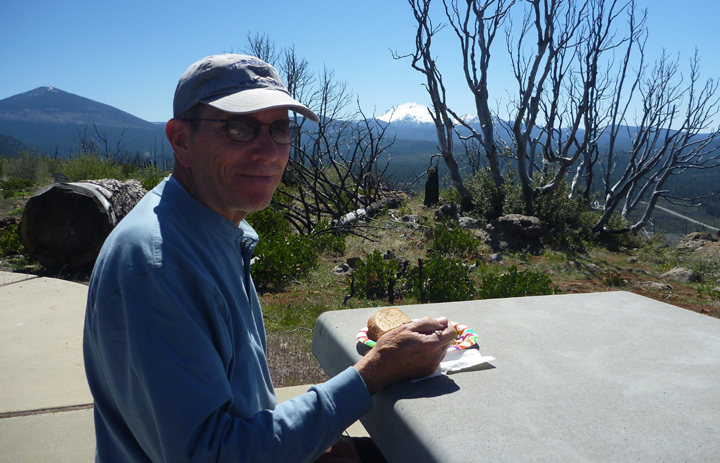 A lunch stop at Hat Creek Rim Overlook provided expansive views of the peaks of both Shasta and Lassen. Did we take a wrong turn? We thought we left Fall River Mills back in Massachusetts! 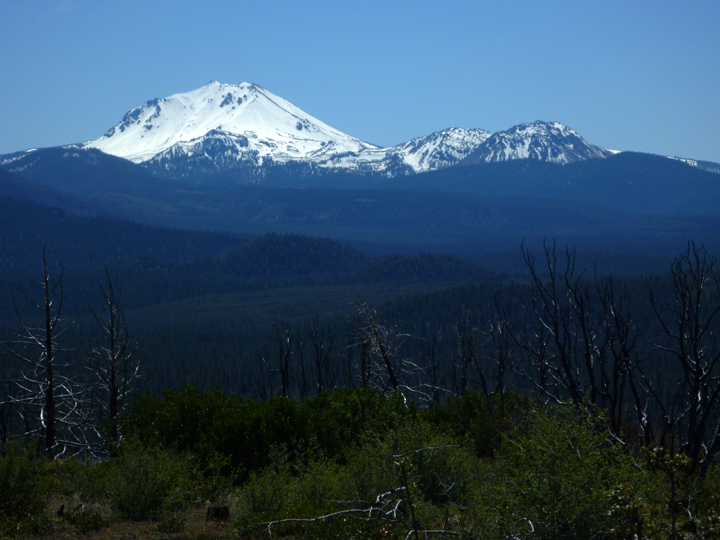 The road that travels through Lassen Volcanic National Park was still closed due to snow so we made our way around to the north entrance and camped on BLM land just outside the park boundary. 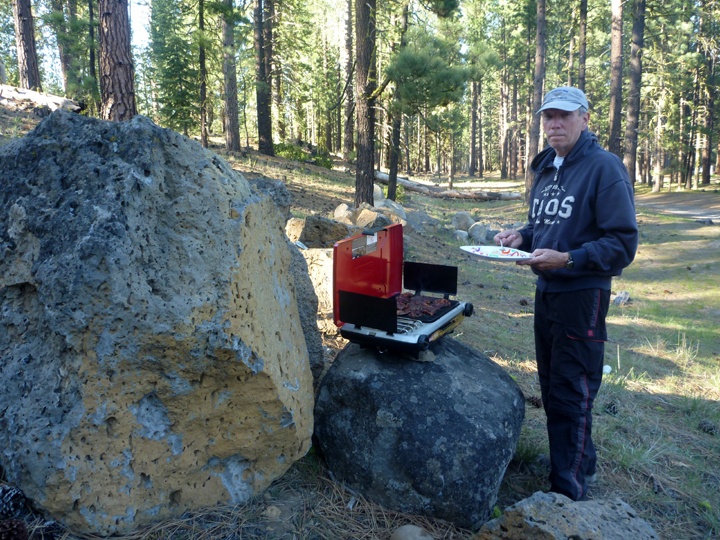 No picnic tables here, so Al engineered a natural stand for the grill. 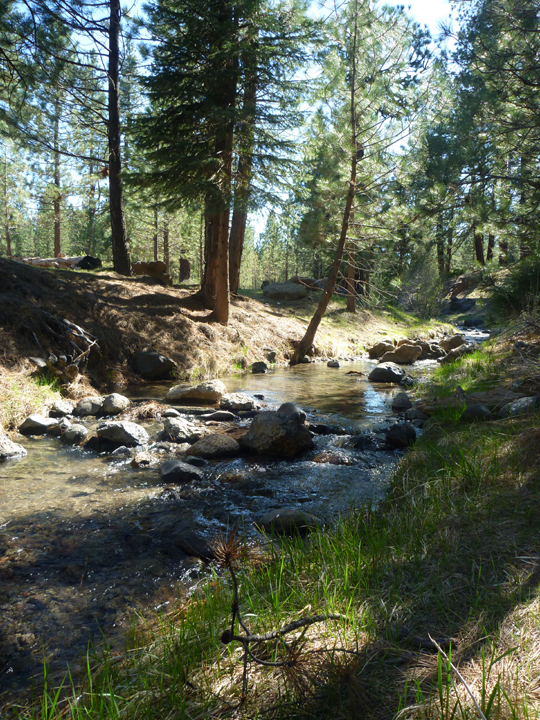 Pretty little stream we camped next to for free. The next day we headed into the park. 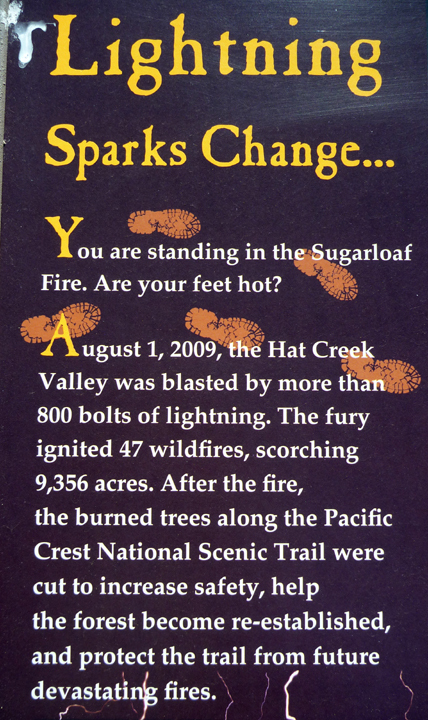 Our first stop, just inside the entrance, was at Lake Manzanita. Ten miles further into the park we took a short hike around the Devastated Area. 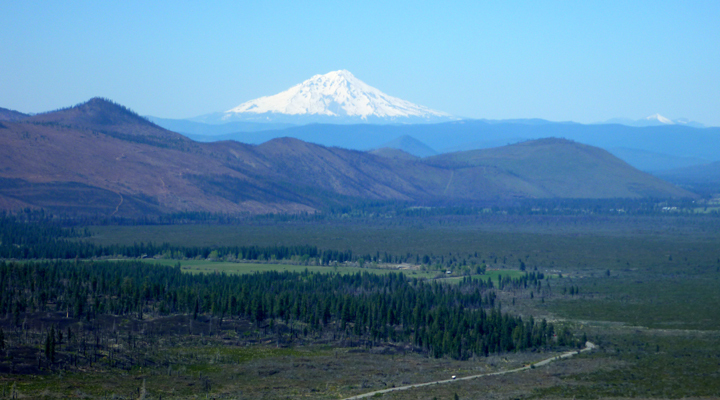 Just 100 years ago, in May 1915, this area was virtually atomized by two volcanic eruptions and resultant flooding. 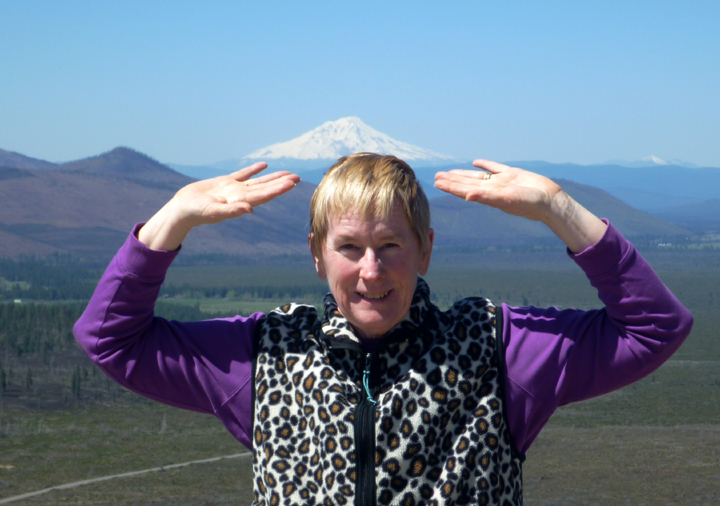 We camped at Lassen in the tent trailer – walked the volcanic trail – that night I scared Phil to death by rocking the bed and saying rumble,rumble……he did not think it was funny at first. Also remember a huge full moon over the lake……have photos somewhere….Enjoy ! Great photos of course and such beauty. You are living life to the fullest. It was great having you here, I LOVED your slide shows, and look forward to the next visit and show. I bet you are riding your bike again, Al! Hope that shoulder is better every day. wow! 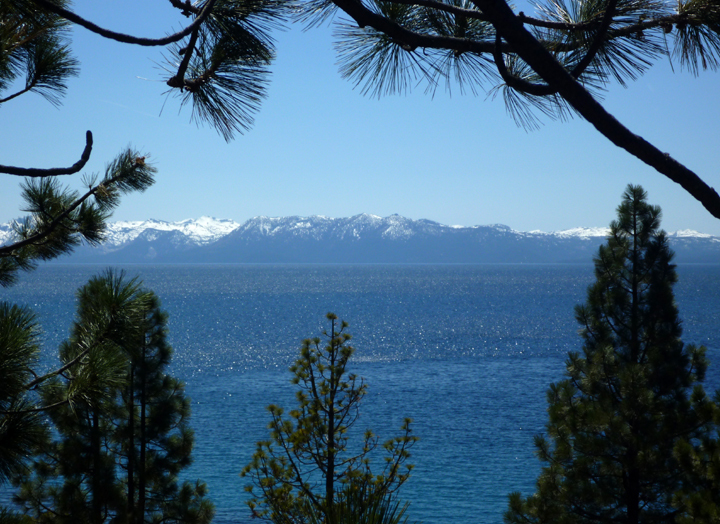 Lake Tahoe so beautiful, I remember traveling there to visit Freida.